Vietnam's Foreign Minister Pham Binh Minh will visit North Korea ahead of this month's planned summit in Hanoi between U.S. President Donald Trump and North Korean leader Kim Jong-un. A spokesperson for the Vietnamese Foreign Ministry said on Monday in a statement posted on Twitter that Minh plans to visit North Korea from Tuesday to Thursday at the invitation of the North's Foreign Minister Ri Yong-ho. The spokesperson did not give further details, including the purpose of the trip. Minh’s trip comes amid speculation that Kim may make a state visit to Vietnam around the time of his second summit with Trump in the Vietnamese capital city of Hanoi on February 27th and 28th. 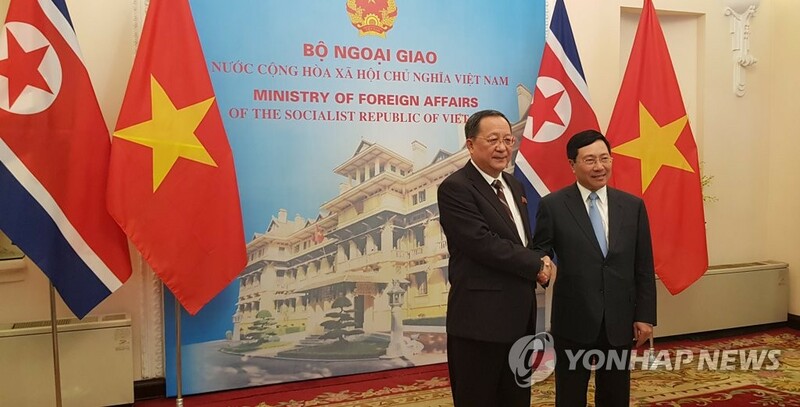 During the trip, the Vietnamese foreign minister is expected to meet with his North Korean counterpart Ri and other officials to discuss details of Kim's planned visit to Vietnam.